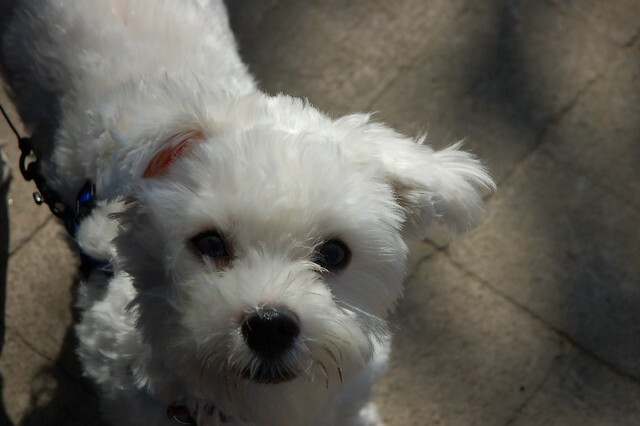 Housebreaking your beloved canine companion means deciding when and where you want your dog to eliminate. Once you have determined the type of routine you want your pet to follow, the next step is to select the specific spot where you want your dog to do his business. Having a designated potty area will help make the toilet training process a whole lot easier! Whenever your dog goes potty, chemicals within his waste are released. These chemicals are called pheromones and are what tell him to poop again when he goes back to his potty area. These chemicals are also what let other canines know that this particular spot has already been taken and so they will have to find another one. Establishing a potty area is crucial to housebreaking your dog. Now what if he is having difficulty understanding where his potty area is and is constantly eliminating inside the house or in places where he isn’t supposed to go? What you can do is try feeding him where he is having these accidents. Generally, dogs are clean animals and will not dirty the place where they eat or sleep, so by feeding your pet in the accident areas, you can reduce the chances of your dog peeing or pooping again in those spots. As much as you want your pet to be accident-free from day one, you have to understand that all dogs have accidents, so expect one every now and then at first. Housebreaking your canine friend is a process, not an instant solution. It’s more like running a marathon than running around your block once. Keep in mind that positive reinforcement will always give you better results than any other training method. Punishment does not work because your dog will be unable to make the connection between his mess and the reason for your anger. In fact, getting mad at him will only lead him to become afraid of you. I highly encourage you to practice patience and be positive. Your dog will pick up on your positive energy and this will keep him from resisting your training or getting frustrated. I planned to write a post about the many fun activities that we can participate because of those who have sacrificed so much and the importance of honoring their memory most especially today, Memorial Day 2010. Then, I came across this video which is also about FREEDOM but much different than what I originally had planned for this post. I hope you enjoy it. Realize we all have unique gifts. Say thank you to those who have served. For the families who have lost someone, keep them in your thoughts. Hug your family. Hug your dog. And, really savor every moment of today – focusing completely on all the gifts we truly have. For the ones we take for granted are the ones that someone yearns for…enjoy. Gratitude to Surf Dog Ricochet for sharing this inspirational video – thank you! In a lot of ways, dogs are similar to human babies. And, one of the most stressful phase in their lives happens between their 3rd month to 6th month where puppies come into the stage of teething. Puppies experience this phase earlier than babies. This is the period where the puppy’s “milk” teeth will come out giving way to a new set of adult teeth. At this stage, puppies are expected to look for ways to relieve the itch. Puppies tend to chew more to ease the feeling of discomfort. Here are some tips to help your dog go through this phase much easier. A puppy that is in teething phase would tend to chew most of the time so it is best that ensure that your dog won’t chew on those things that can harm him. You also might place him inside a playpen or a crate to keep your pet in one area especially if you cannot attend to your dog’s needs. Remember, to use safe toys that he can chew here, too. If in the event he experiences gum swelling or excessive bleeding, then bring your dog to the veterinarian. One of the most effective dog techniques, rewarding and praising your puppy whenever he does something right assures him that this is something good. In this case, you can reward your pet when he chews the toys, the towels or teething ring you gave him. When you do spot your pet chewing something else, then simply tell him “No” and give him the right toy to chew on. Expect your puppy to chew on anything he can get his mouth to which can be your children’s toys, shoes, bones, sticks, and even your very own fingers. Be more cautious at this point in your pet’s life and look and see what might be in his reach. That will save any heartache from having items destroyed or your puppy injured from chewing on something that hurts him.